Yesterday, he sought the blessing of Lord Venkateshwara at the Tirumala Temple. He performed special pujas there and obtained the blessings of the priests. Mahesh Babu is celebrating the success of ‘Bharat Ane Nenu’ in a very special way. 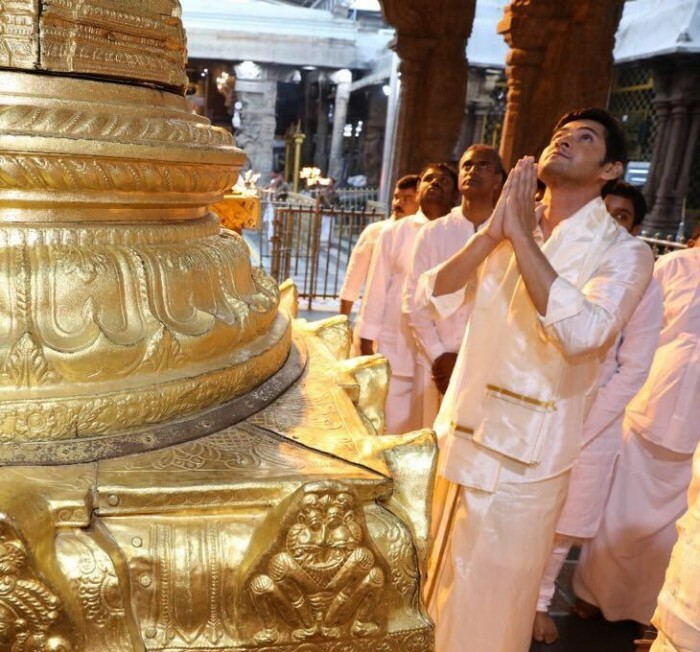 The superstar is seen visiting temples to seek blessings. Yesterday, he sought the blessing of Lord Venkateshwara at the Tirumala Temple. He performed special pujas there and obtained the blessings of the priests. Accompanied by him was politician Jay Galla. Mahesh Babu also visited some theatres in Tirupathi and interacted with the fans. A few days ago, the superstar visited Goddess Kanaka Durga temple at Vijayawada. Director Koratala Siva, Member of Parliament (MP), Galla Jayadev, and Member of Legislative Council (MLC) Budda Venkanna had also accompanied Mahesh Babu at Vijayawada. Well, the film is doing a great business all over the globe and is unstoppable. The political drama has earned Rs 160 crore worldwide and it’s exceptional. It remains to see how the film turns up in the second week. The film has raked in Rs 31.04 crore in its first-week, which is exceptional in the international markets. It is performing well in Europe, UK, North America, Australia and New Zealand markets. Mahesh Babu’s role as CM has highly impressed the audience and moreover, its kind of political drama that they always wanted to witness on screen. From the music to the promotions, the teaser – BAN has successfully made it to the hearts of the audience.